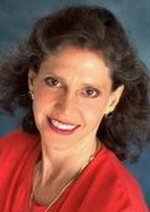 Loree Oberle-Edwards is a skilled and experienced healer. With her intuitive awareness and ability to see of the subtle energies of the body, Loree naturally supports clients to deeper levels of wellness. With her extensive experience in facilitating the release of emotional/physical toxins, Loree helps to provide a safe and supportive environment for deep healing. Her focus is in supporting people with physical and emotional challenges, and assisting them in leading a stress-free life. She enjoys providing long-distance healings, as well as, hands-on healings in a nurturing, quiet environment. Loree became certified as a Healing Touch Practitioner in 2001, and received her Level 1 Instructor Certification in 2010 and is teaching in the Southern California area. Loree is able to provide a safe and supportive environment, encouraging others who are seeking whole body health and greater possibilities of themselves. She earned her Bachelor of Science degree in Dental Hygiene and her Master of Science degree in Oral Biology at the University of California, San Francisco. She has over 35 years of experience in the dental field, specializing in the care and management of patients with medical conditions including autoimmune conditions and those undergoing chemotherapy and radiation with cancer. Loree became a licensed Minister in 1990 and was awarded a Doctorate of Divinity in 2002. She is a certified educator with the Chopra Center for Well Being, having taught classes in total body wellness, and meditation. Loree is also a certified Master Integrative Coach Professional in the Blueprint, Essentials and Spiritual Divorce coaching models with the Ford Institute for Integrative Coaching. She guides people in this complimentary, powerful work to heal their hearts and souls.